BANGKOK (AP) — A military-backed party appears to have won the most votes in Thailand's first election since a 2014 coup after tilting the electoral system in its favor. If the preliminary results hold, it will likely add to nearly two decades of political instability in Thailand. Some key developments from the election. Coup leader and prime minister Prayuth Chan-ocha took full advantage of five years of junta rule to change the constitution and election laws to stack the electoral odds against anti-junta parties. But the military-backed Palang Pracharat party's strong showing in the popular vote also suggests some Thais were happy with the certainty provided by Prayuth's strongarm rule and deeply opposed to the alternative — a government allied with exiled former Prime Minister Thaksin Shinawatra. 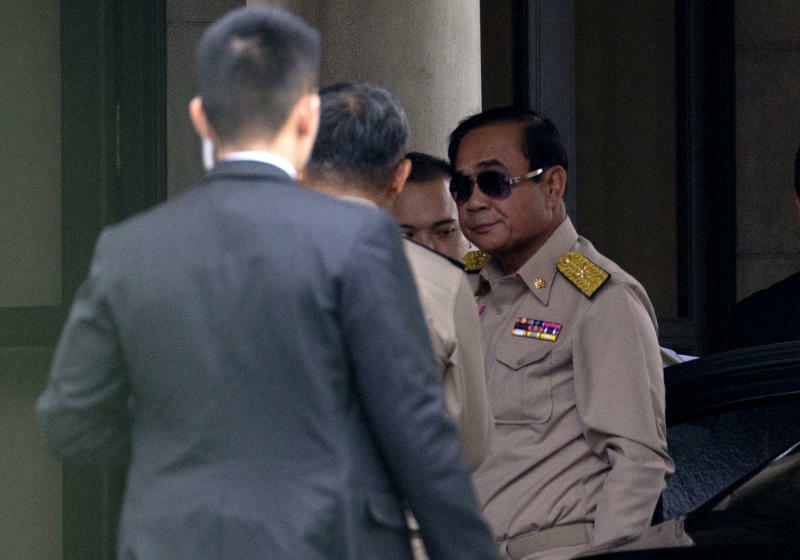 A lot of people who supported Prayuth did so because they believed "if you want to get away from Thaksin, that was your only hope," said Pavida Pananond, an associate professor at Bangkok's Thammasat Business School. Thailand's has endured nearly two decades of political strife as conservative forces including the military tried to reverse the populist political revolution led by Thaksin, who swept to power in 2001 and was ousted by a military coup after several years. That instability looks set to continue even after Sunday's election. The political system designed by the junta is inherently unstable. A 250-member junta-appointed Senate and a 500-member elected parliament will decide the next prime minister. That could result in Prayuth as prime minister but trying to govern without a majority in parliament. Supporters of the Thaksin-allied Pheu Thai party may also view the election results as illegitimate. "It is highly likely that political tensions in parliament will boil over into very public debate and parliamentary dysfunction," said Jacob Ricks, a political scientist at Singapore Management University. "If a parliamentary majority is in the opposition, we might even see Prayuth use a heavier hand in coercing compliance." And in Thailand, which has seen 12 coups since 1932, instability increases the odds of another military takeover. Palang Pracharat's lead in the vote tallies and the Election Commission's delay in releasing complete results have sparked suspicion of irregularities in the counting. Election cheating was the top trending topic on Twitter for Bangkok with hashtags such as "ECBusted," ''CheatingElection19" and "EChasNoCalculators." The Pheu Thai party has also voiced concerns and wants to inspect disqualified ballots, which are more than a million in number. "Even the reported numbers from the Election Commission and each media outlet are different. We have our own number too," said the party's secretary-general Phumtham Wechayachai. 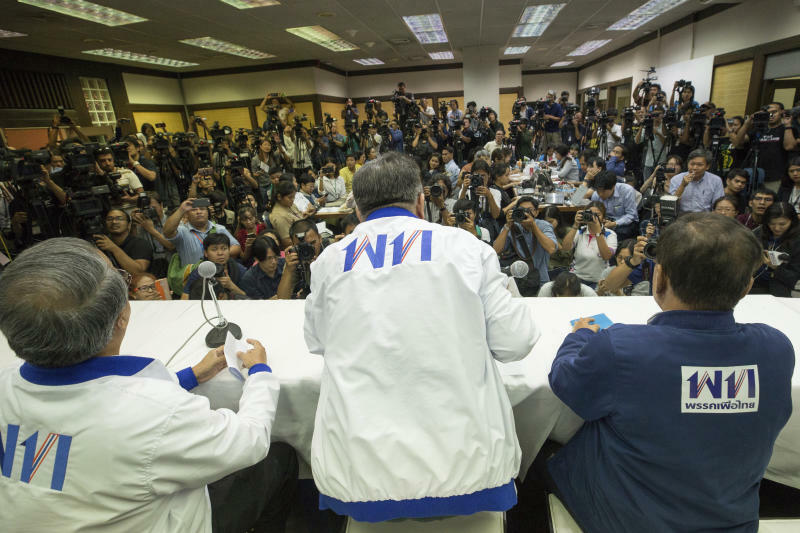 "It will be clearer once the official result is announced." A new political force, the Future Forward Party led by left-leaning millionaire businessman Thanathorn Juangroongruangkit, campaigned on sending the military back to the barracks. With strong support from first-time voters it became the third-ranked party by votes. The party's is in jeopardy because it faces legal challenges from the campaign period, but its strong performance is disconcerting for the junta. Though largely youth-orientated, Thanathorn's charisma, sharp debating skills and vigorous campaigning expanded the party's appeal and flagged him as a possible future prime minister. Thailand's oldest political party, battered for years by Thaksin's political machine, took another beating as voters in its Bangkok and southern strongholds deserted it, apparently in favor of the junta party as the more viable Thaksin alternative. The Democrats' failure "probably also means that the party is more likely to try to get into a coalition with Palang Pracharat," said Kevin Hewison, a professor emeritus from the University of North Carolina and veteran Thai studies scholar. "Otherwise, the party would be in opposition with Thaksin parties and I don't think that appeals to the Democrat core constituency." With results yet to be finalized, the pro-Thaksin Pheu Party may yet win more seats in parliament than the junta's party. And even if not, Pheu Thai can still convincingly argue that it would have done better if the deck had not been stacked against it. 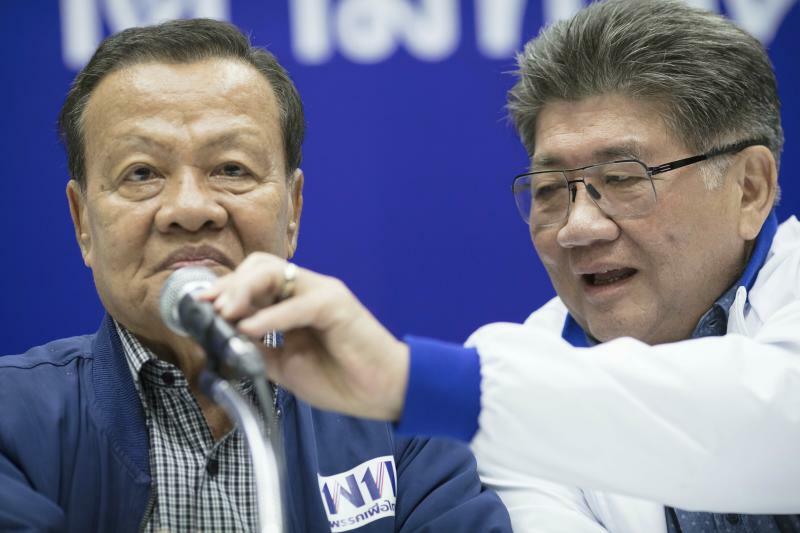 The pro-Thaksin forces had established the satellite Thai Raksa Chart Party to overcome the convoluted election rules that sought to minimize the number of seats they could win. But they overreached themselves by nominating the Thai king's sister as their candidate for prime minister, and instead of gaining some royal luster, found themselves disgraced and dissolved. Pheu Thai supporters "are unlikely to embrace continued rule by Prayuth, but many feel as though they have no alternative beyond accepting and enduring it," said Ricks. "They are very aware of who carries the guns."